In 2008, Isabelle?a self-made, thirty-something Wall Street star?appears to have it all: an Upper West Side apartment, three healthy children, a handsome husband, and a high-powered job. But her reality is something else. Her trading desk work environment resembles a 1980s frat party, her husband feels employment is beneath him, and the bulk of childcare and homecare still falls in Belle’s already full lap. Enter Henry, the former college fiance she never quite got over; now a hedge fund mogul. He becomes her largest client, and Belle gets to see the life she might have had with him. 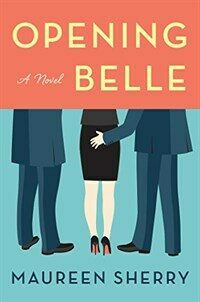 While Henry campaigns to win Belle back, the sexually harassed women in her office take action to improve their working conditions, and recruit a wary Belle into a secret “glass ceiling club” whose goal is to mellow the cowboy banking culture and get equal pay for their work. All along, Belle can sense the financial markets heading toward their soon-to-be historic crash and that something has to give?and when it does, everything is going to change: her marriage, her career, her world, and her need to keep her colleagues’ hands to themselves.